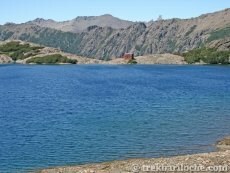 The classic 5 day trek linking up 4 refuges and taking in some of the best scenery the park has to offer. Note. 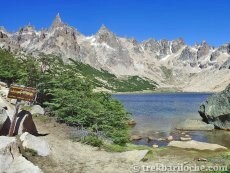 Day 3 is for experienced trekkers only. 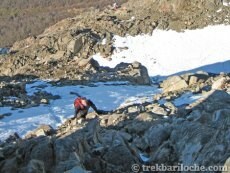 A straightforward and easy route to Refugio Frey. 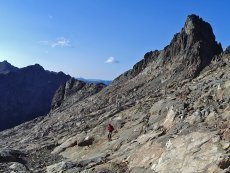 On a well defined trail, it will only take about 4 hours, so don't rush and enjoy the scenery. 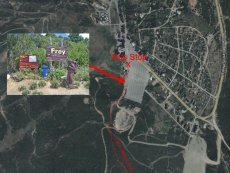 From the bus stop in the huge car park at the base of the Cerro Catedral ski resort, look for the wooden sign with 'FREY' written in big letters and the wooden carved backpacker (see photo below). The trail starts here. 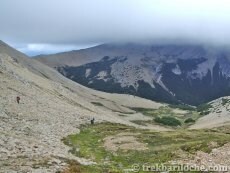 Head along the track away from the ski resort; after about 100m take the smaller trail signed off to the right. It crosses back over the vehicle track after about another 200m then forks to the right. 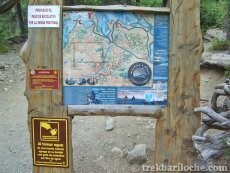 Keep an eye out for the small signs bringing you onto the main trail. Once on this main trail, it's a very well marked path with excellent wooden and metal footbridges crossing a number of small stereams for about 1½ - 2 hours until you reach the path junction with the trail coming from Los Coihues. 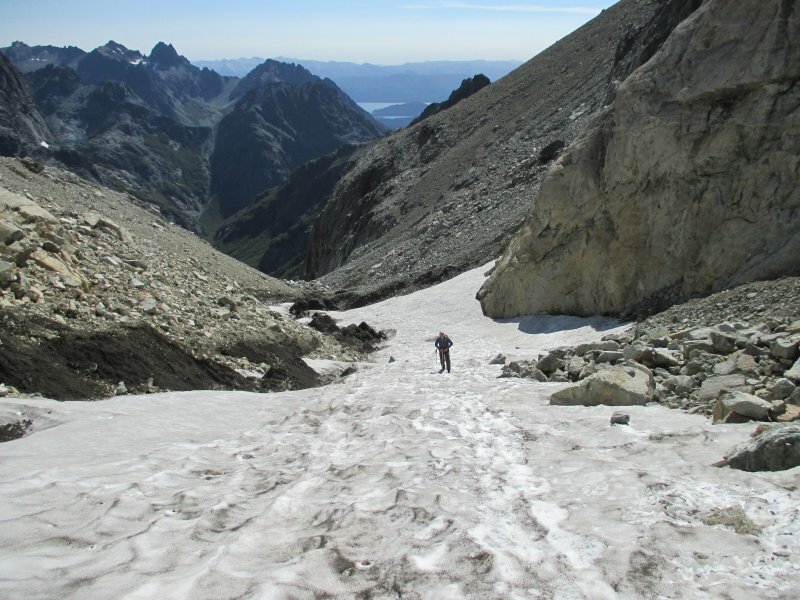 Keep heading up the valley for about another 1½ - 2 hours as the path starts to ascent into the forest, first crossing over the Van Titter stream on a larger metal footbridge, past Refugio Piedritas (a small shelter) before coming out above the tree line for the final kilometer to Refugio Frey. Early in the season there are a few streams in the first 5km of the trail, but they tend to dry up as the summer season progresses. 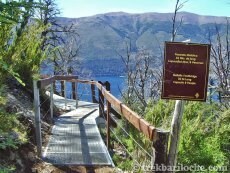 The trail crosses a bridge over the Van Titter stream and this is the last option for water before arriving at refugio Frey. 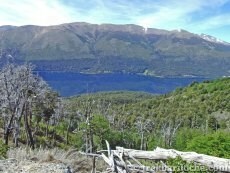 Bariloche - Villa Catedral (Cerro Catedral ski resort): During summer there are public buses (Bus no. 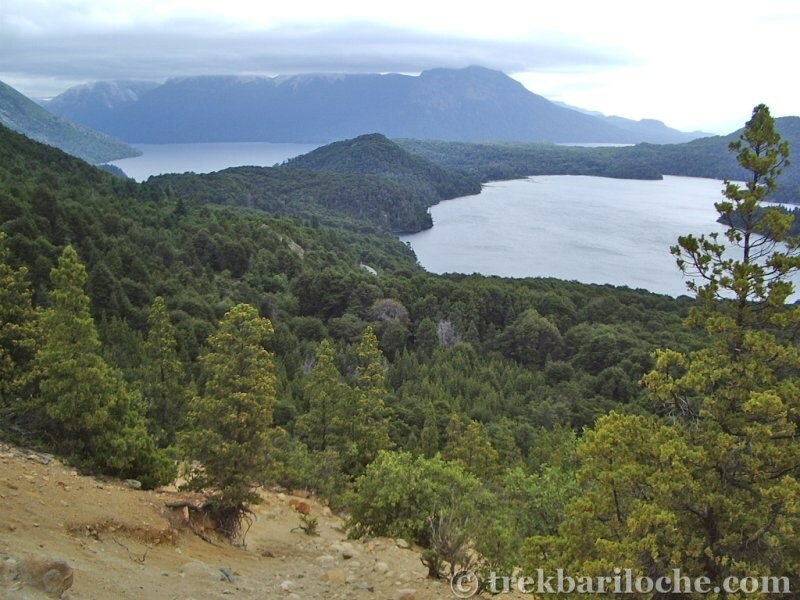 55) about once an hour between 7.00am and 8.00pm starting from the Bus terminal, passing through the centre of Bariloche then alternately going along Avenida Bustillo and Avenida Pioneros. Get off at the last stop in the huge car park at the base of the ski resort. 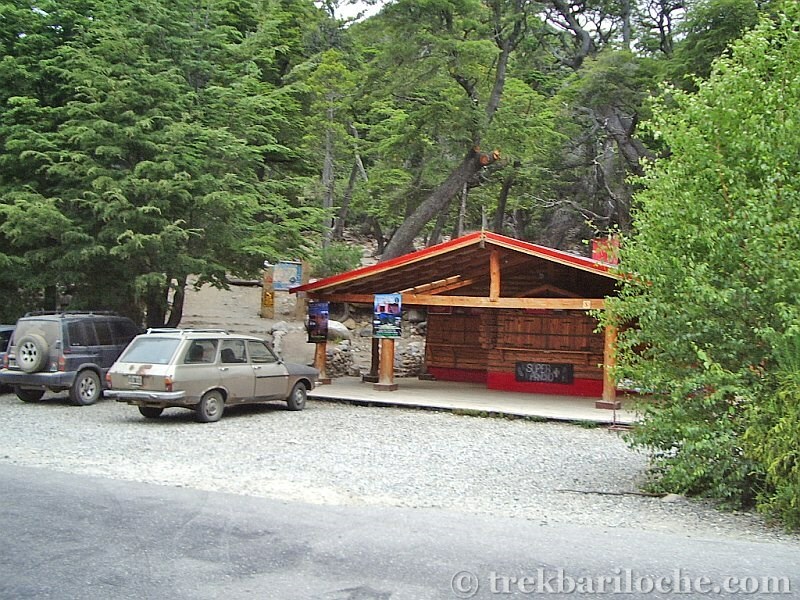 If arriving by car you can park in the main ski resort car park at Villa/Cerro Catedral. The car park is generally a safe place to leave your car. 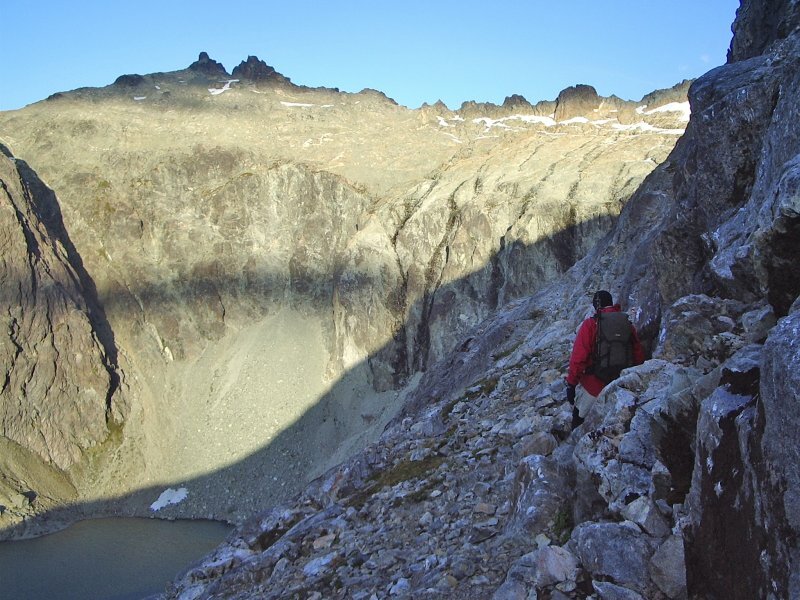 From Refugio Frey you can head out on the trail on either the left (crosses the small stream by Refugio Frey) or right hand side of Laguna Toncek. 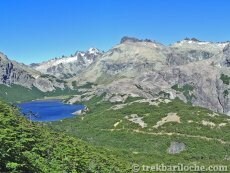 After walking past the lake the trail continues across the flat valley floor before zig-zagging up the right hand side of the valley to Laguna Schmoll; following red painted spots on rocks and small cairns to the right of a small stream. 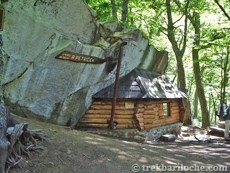 (There is a plaque on the large boulder by the lake shore). 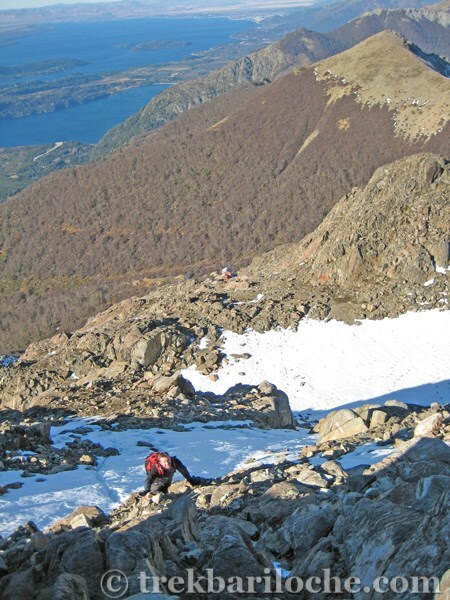 Continue clock-wise round Laguna Schmoll to the base of the easy scramble (from a distance it looks worse than it is) that ascends to the 'Cancha de Futbol' - a flat/sheltered pass between the two valleys. 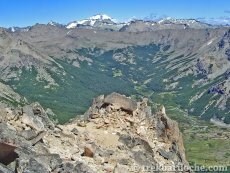 Carefully follow the markers to the start of the scree that descends steeply to the Ruco Valley below. 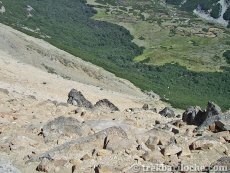 Take care descending, especially if there are other prople below you on the scree. 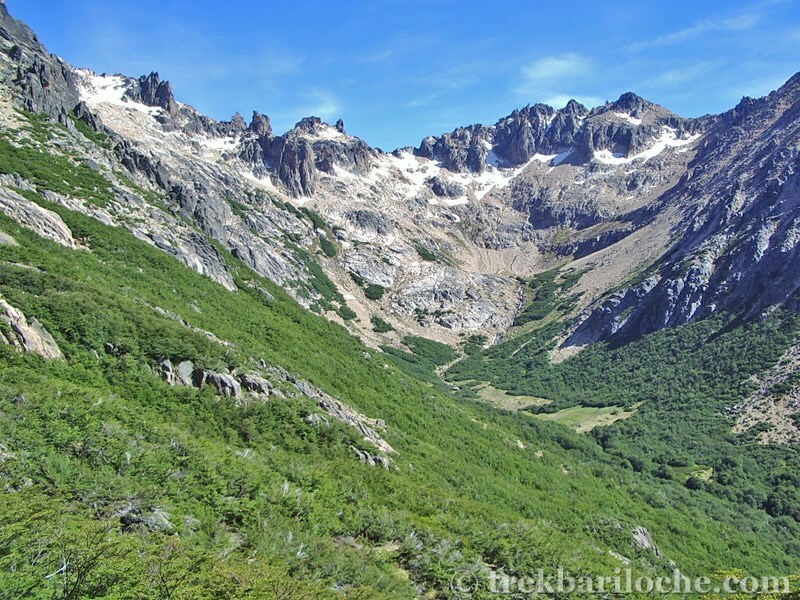 A beautiful forest trail takes your through the valley floor before you start ascending again, heading out above the treeline to a col before the final scree/rocky descent to Refugio Jakob. 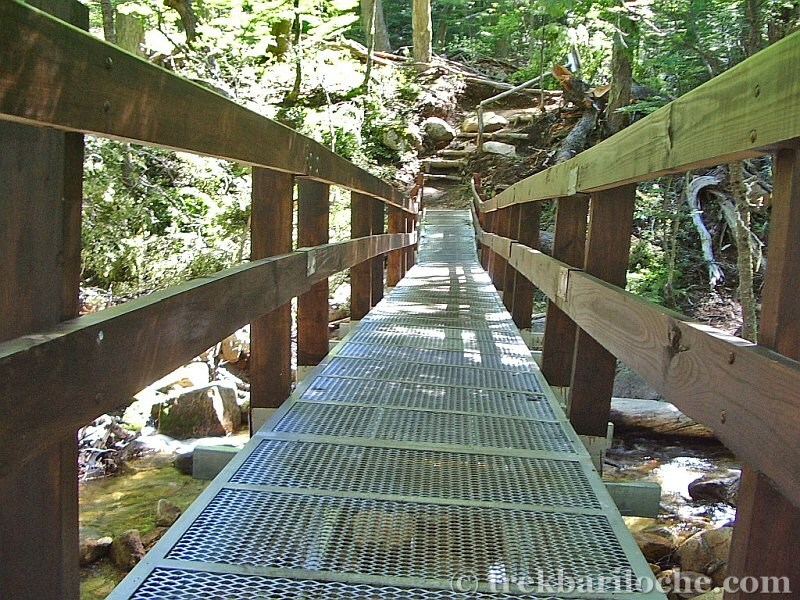 There is a new bridge over a small stream and a new route cut through the forest on the final 300m before arriving at Refugio Jakob so you now don't need to get your feet wet on the previously very wet/muddy last section. 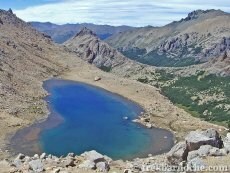 - From the outlet of Laguna Schmoll there is small stream that descend to Rucaco valley. 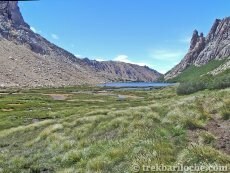 - A small stream in the Rucaco valley at about the half way point. 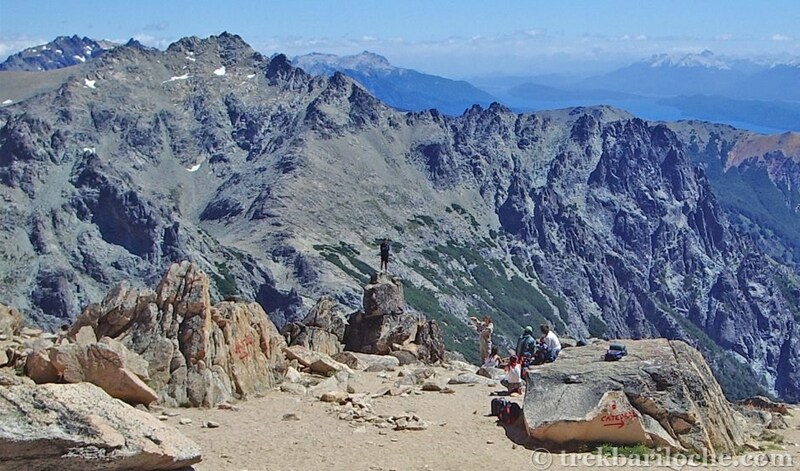 A tough trek with some of the most rewarding views in the National Park. 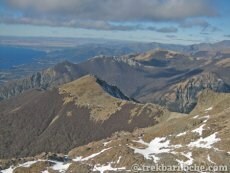 It should only be undertaken by experienced trekkers. 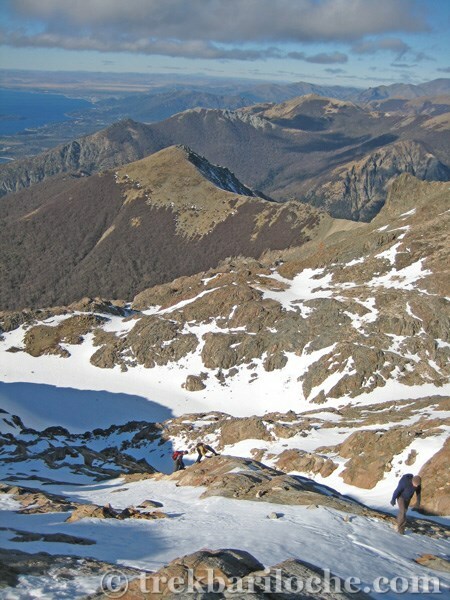 This is the most difficult part of the Nahuel Huapi traverse and should only be undertaken in good weather. 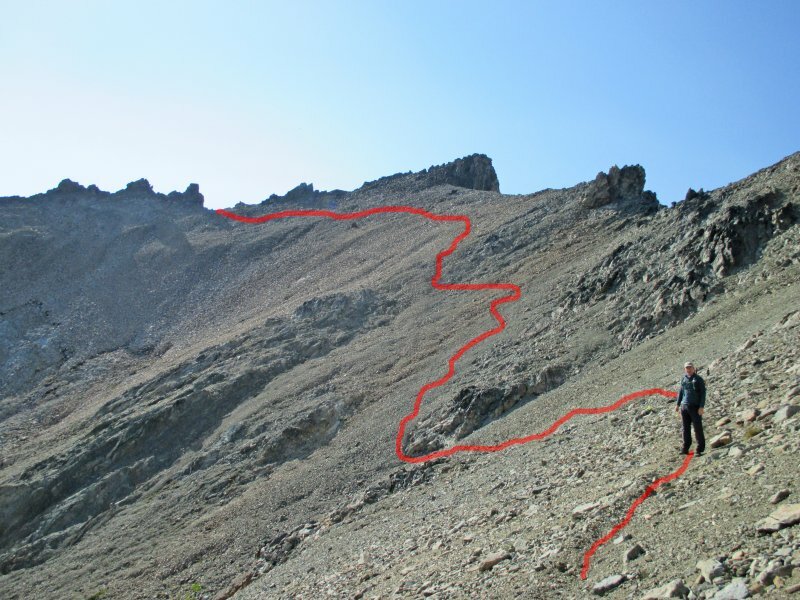 This trail is NOT well marked; it is steep/exposed and very rocky in places, requiring the use of hands (scrambling) over some sections of rock. It can be especially dangerous in poor visability and should not be attempted. 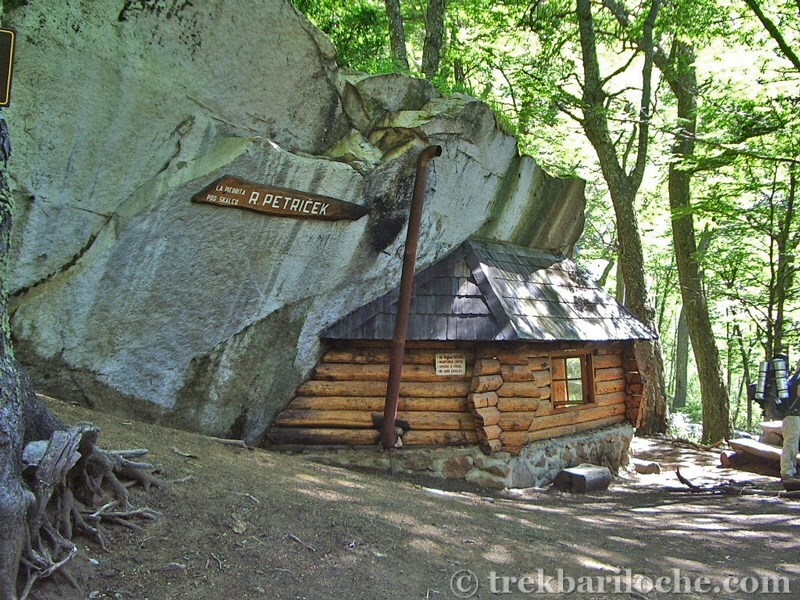 The National Park Office officially says that you must sign a 'Deslinde de responsabilidaded' - 'waiver of liability' at the park office before you go as well as the National Park Trek Registration. 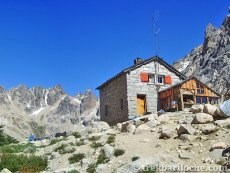 When arriving at Refugio Jakob there is a register to sign so they have a record of who is doing the trek. There may be snow on this section of the route until February. 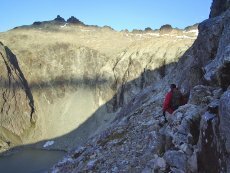 During the 2014/2015 season, Refugio Jakob had a presentation each morning at 9am to explain and show photos of the route. They only offered the presentation at 9am so if you want to leave earlier in the morning or are passing through later in the day then your option for this information is not there! Notes: Scrambling and route find skills needed. Read disclaimer above. 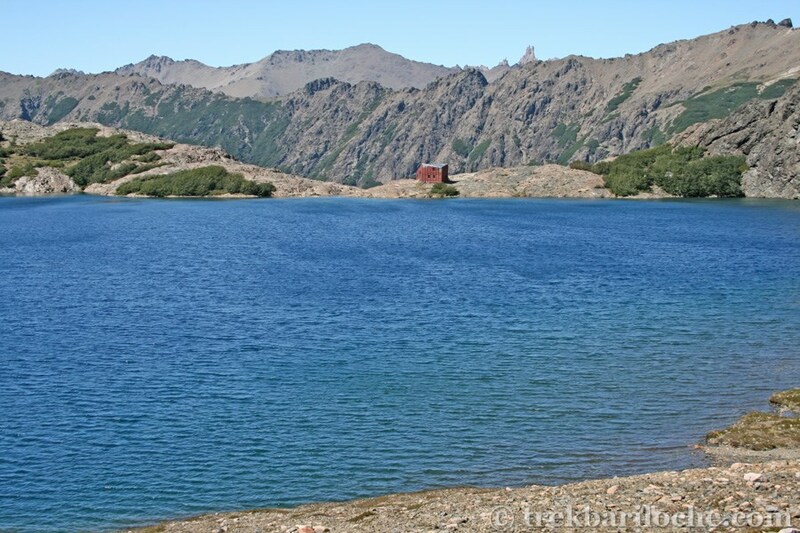 Should be attempted in the Refugio Jakob to Laguna Negra direction - not the other way around. 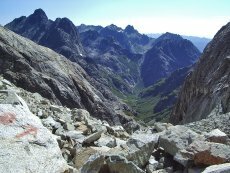 You will need a map and know how to use it as the route is so poorly marked you will need to know which mountain/pass you should be heading for. 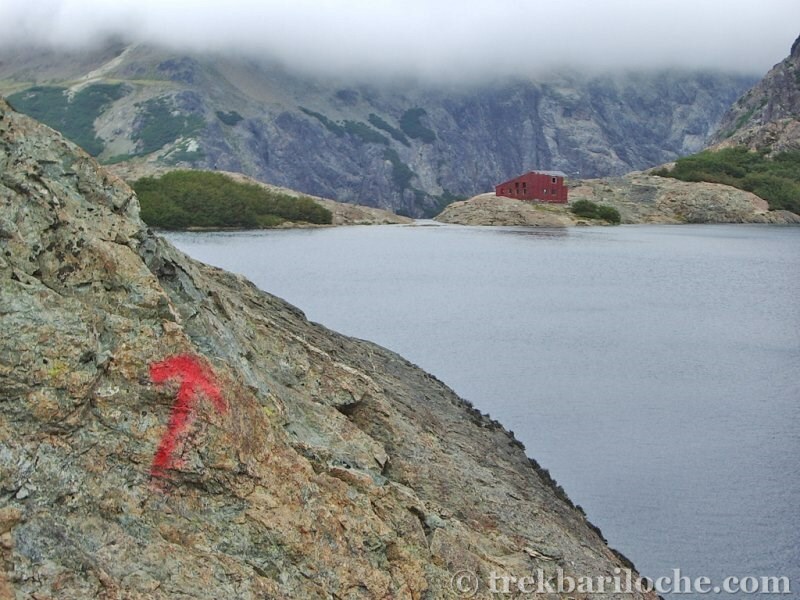 The route starts from Refugio Jakob in the direction of the refuge toilets then bears off to the left throught the various camping spots and past the make-shift helicopter landing site. 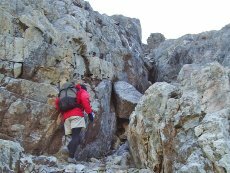 The route continues up through the trees and out over some rocky outcrops. 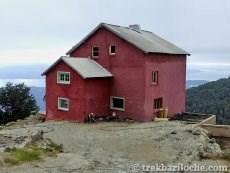 This first section of the route is marked with blue/white paint and red red paint dots. After about 15-20 minutes the trail turns to the right and starts ascending the bare rocky ridge to the base of Pico Refugio. 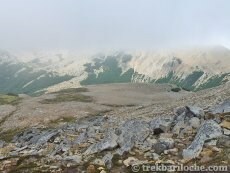 At this point the trail is only maked by intermittent red dots painted on rocks and small cairns. 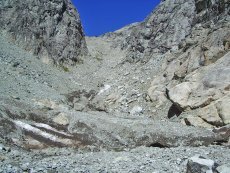 The most technical part of the route is the ascent up to the col on Pico Refugio and involves a small amount of exposure and some scrambling with many sections over loose rock that can be dangerous if dislodged on anyone below - this section should not be tried in reverse as its very difficult to see the route markings if trying to descend here. 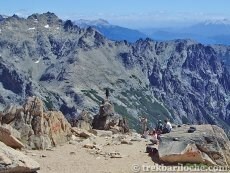 Once on the col at Pico Refugio the trail traverses to the col on the N.E spur of Cerro Inocentes over bare rock and scree. 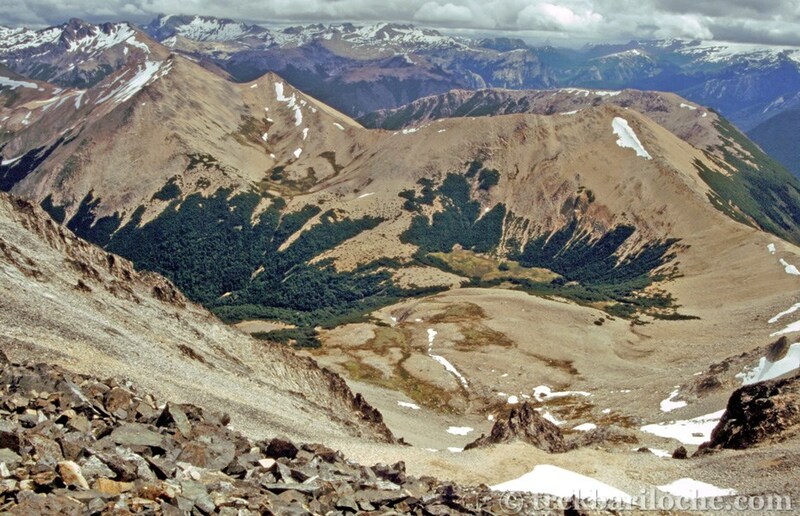 Once here the trail drops down over very loose scree between Cerro Inocentes and Lago Navidad then ascends again to the pass on the N ridge of Cerro Inocents. 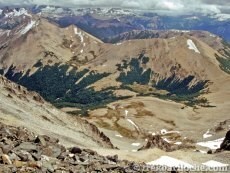 Once on the ridge, continue north up to the summit and plateau of Cerro Navidad. 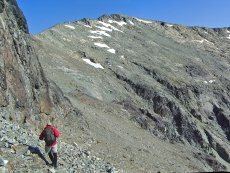 After admiring the spectacular 360 deg views the route continue North before first dropping down the loose scree slope to the start of the Navidad valley, then over larger boulders and steeper sections where the Navidad valley narrows before opening out into green pastures after about 2.5 - 3 hours of descent. 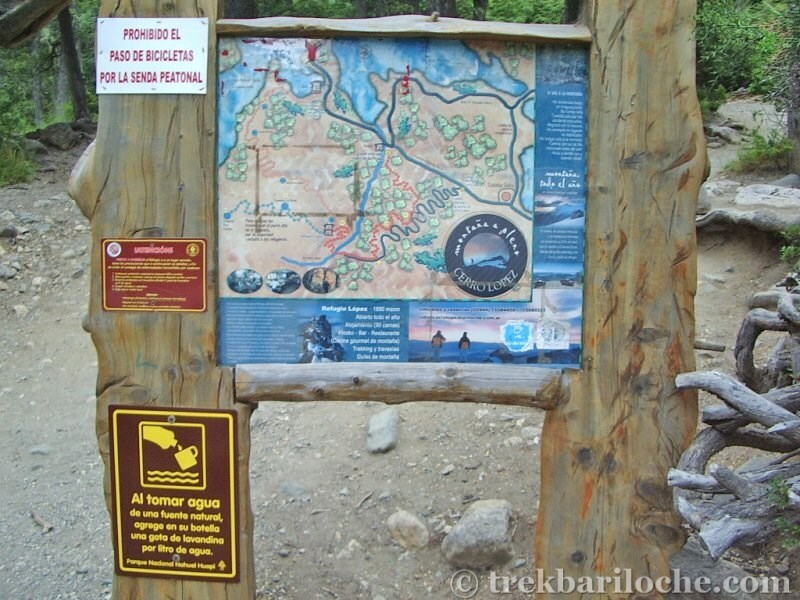 Finally joining the main trail to Refugio Laguna Negra. Either take the trail on the left up the zig-zags to Refugio Laguna Negra or turn right for the trail out to Colonia Suiza after a little more than 2 hours. 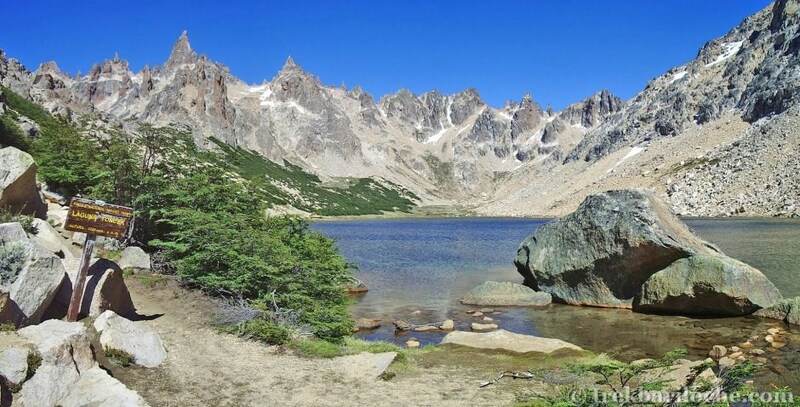 Note: Due to the nature of the terrain there are no camping spots/options on the route between Refugio Jakob and Laguna Negra, so make sure you have enough time to complete the entire route before heading out. 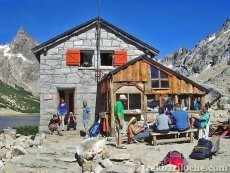 Fill up before leaving the Jakob hut as there is no water on the majority of the trail. 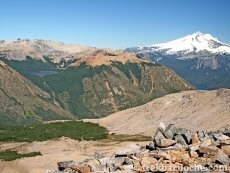 The first water source will be the stream descending the Navidad Valley. 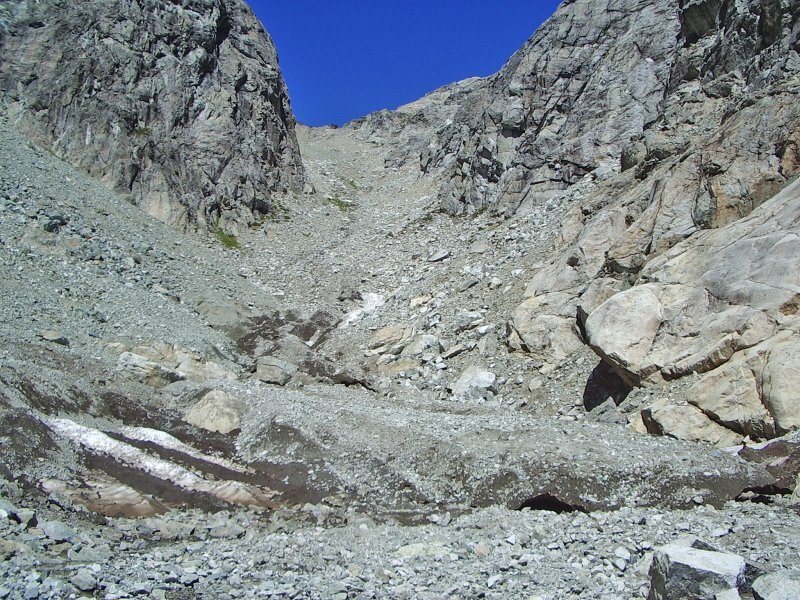 This trek can is actually easier done the other way round due to the scree acsent, but if you got this far you have no choice! From the Laguna Negra Refuge head in an anti-clockwise direction around the edge of the lake following a well defined path. There is a rope in one section to help you descent a small drop. 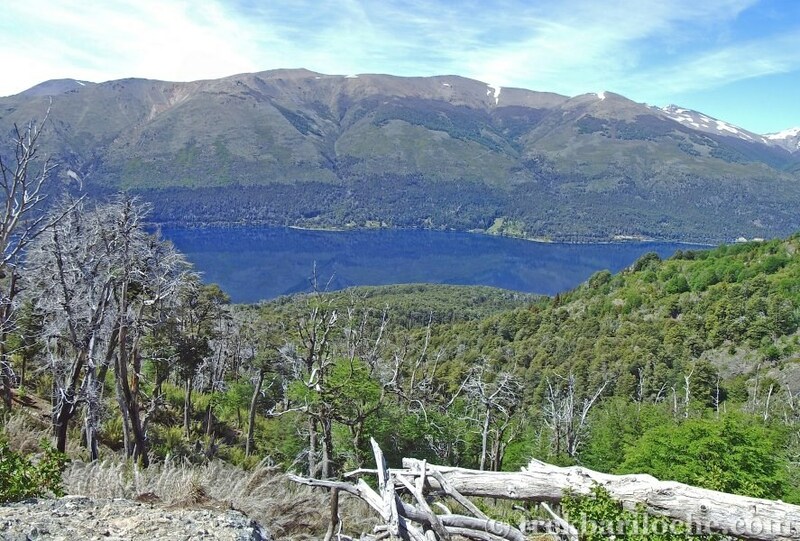 The trail contines onto less steep terrain on the North Eastern edge of the lake and the route continues in a NE direction to a col to the south of Cerro Bailry Willis. 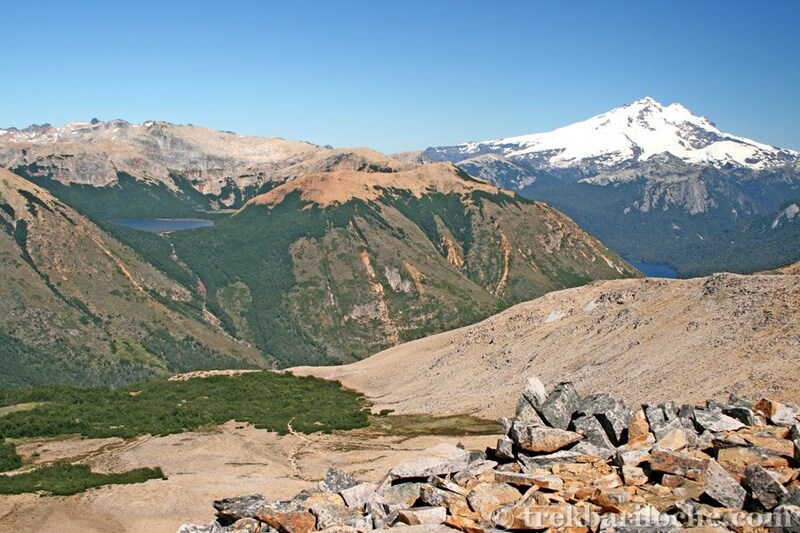 From here to have spectacular views across to Cerro Tronador. 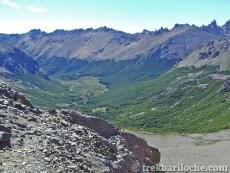 The trail contines in a Northerly direction contouring around the west slope of Cerro bailey Willis before dropping down on a clear path to the valley below. 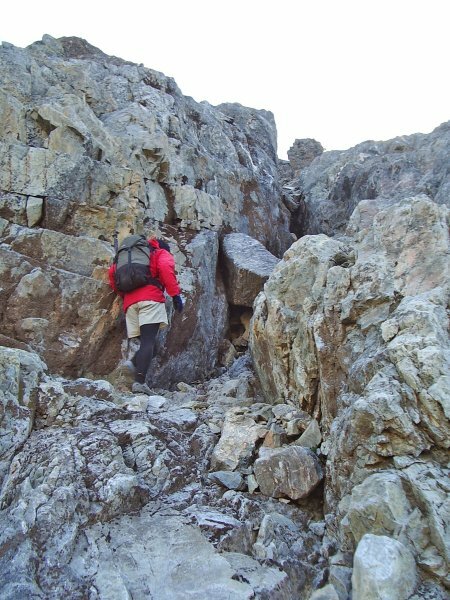 Follow the cairns and painted markers to the base of Pico turista where the ascent up the screes takes you to the summit. From here again follow the painted markers as you descent down the other side to Refugio Lopez. 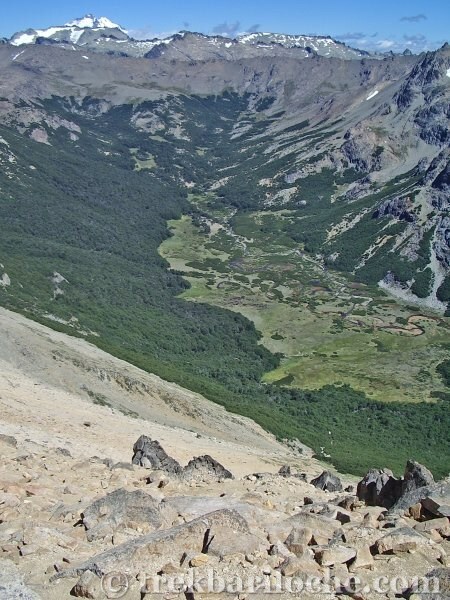 The descent is steep and will require the use of your hands. 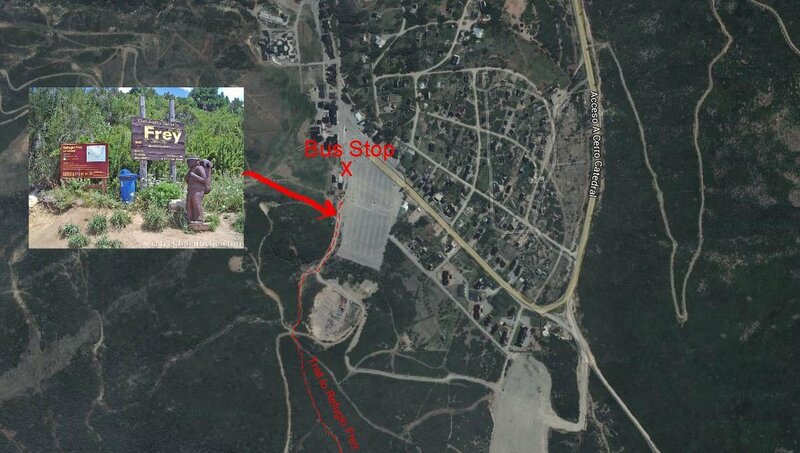 It's a short but steep downhill trek on well trodden paths to Arroyo Lopez by the road where you will find a snack bar. 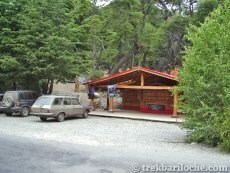 Turn right and walk 200m down the road to the bus shelter for you trip back to Bariloche. 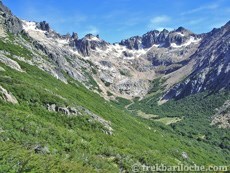 One possible small stream shortly after leaving Refugio Lopez, then nothing until you reach the road.